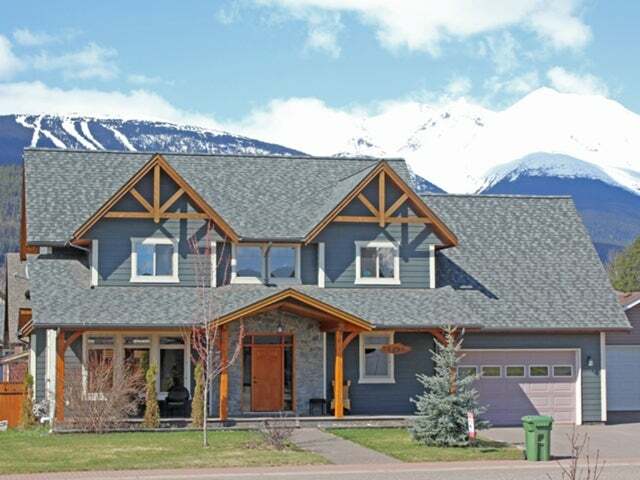 Enjoy the quality of this 3 bedroom, 3 bathroom house in one of the newest neighbourhoods in Smithers. Everything is finished with high-end materials, from the wood trim and doors to the rustic timber frame accents in the main living room. The home offers an open concept with vaulted ceilings, oak hardwood floors, heated tile flooring, large Low-E windows, river rock natural gas fireplace, walk-in shower and maple cabinets. Insulated interior walls and silent floor joists help keep each room extremely private. The yard has a nice patio, cedar trees, fenced yard and cedar storage shed. The house offers a fantastic view of Hudson Bay Mountain from the upper level and has a spacious rec room above the garage.